They call it ‘executive time’? 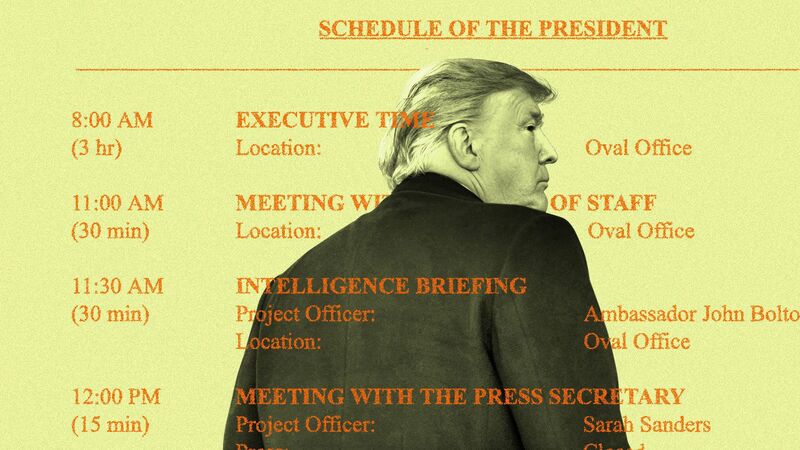 Axios is reporting that Donald Trump spends a lot of what is being called “executive time,” meaning time off the clock, in the White House residence, doing something I presume other than reading briefing papers and intelligence reports. This really isn’t a huge deal to me. I’ve noted already many times that I don’t even mind the president playing a lot of golf. What irks me about all that golf time is that this president promised he wouldn’t do it . . . and then he reneged on that promise! Presidents are never off the clock. 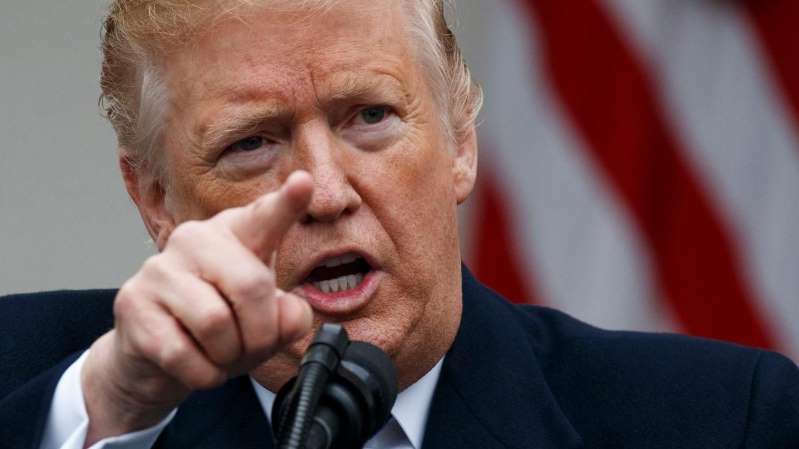 They’re only a radio message or phone call away from being summoned to respond to a national emergency; by that I mean a real emergency, not a phony one such as what Trump says is occurring on our southern border. As for the executive time business, I wish Trump would spend more time studying how to be president. He ought to learn about what the U.S. Constitution lays out in terms of executive power, and how the framers established Congress and the courts as co-equal branches of government. He doesn’t seem to know any of that. Then again, maybe he is spending his executive time actually reading. Do you think? Nahhh! If he was doing it we certainly would know about it. He’d be firing off Twitter messages informing us of all the brainy work he is doing behind the scenes. See the Axios story here. Axios suggests he spends a lot of time each day reading newspapers and watching TV before he heads to the Oval Office, or the Cabinet Room, or the Situation Room to do the things that presidents do. Still, the Axios story does reaffirm what many of us have noted all along, that we have elected a bizarre, unconventional and, um, “unpresidented” fellow as head of state, commander in chief and chief executive. Great! Another zillionaire wants to be POTUS! This is just great, I tell ya . . . just great! 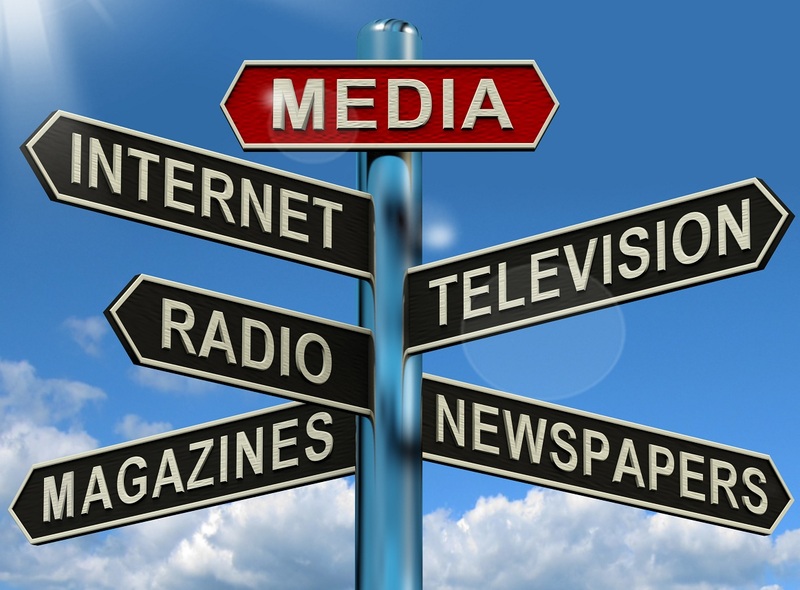 Americans have been subjected to the chaos associated with a real estate mogul turned politician who was elected president of the United States in 2016. Now we hear that another business tycoon might decide to make a run for the nation’s highest office in 2020. Please! No! A million times no! The latest novice pol who wants a shot at playing the role of commander in chief and head of state is Howard Schultz, the former owner of Starbucks. He calls himself a “centrist independent” and a “lifelong Democrat.” Schultz told “60 Minutes” he would run as an independent candidate. Let’s see. How would that work? He could siphon off votes that would go toward an actual political figure running as a Democrat opponent against Donald J. Trump. Is there a chance a Schultz candidacy could improve the president’s re-election chances? Yeah! Do ya think? Trump campaigned for president touting (falsely it likely turned out) his past as a “self-made billionaire.” He touted his business acumen, forgetting to mention all those bankruptcies, lawsuits and failed business ventures. He had zero political or government or public service experience before deciding to run for POTUS . . . and oh brother, it shows! Howard Schultz wants a crack at the world’s toughest job? I want someone who actually knows how government works to serve as my president. I want someone who isn’t in love with his own success and who is fully and wholly committed to public service. Schultz is planning a national tour to pitch his notion of running for president. Good grief. Spare me the platitudes and promises. I want someone sitting behind the big desk in the Oval Office who has an understanding of what’s at stake. Trump isn’t the guy. Neither is Schultz. Oh, and check out Trump’s response to Schultz’s possible candidacy. 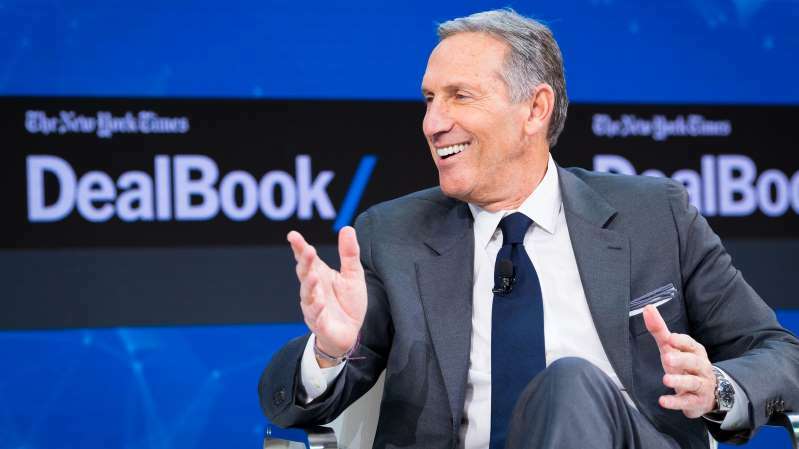 He wrote this on Twitter: Howard Schultz doesn’t have the “guts” to run for President! Watched him on @60Minutes last night and I agree with him that he is not the “smartest person.” Besides, America already has that! I only hope that Starbucks is still paying me their rent in Trump Tower! Yep. That’s the president of the United States of America. Isn’t he just so damn dignified? Donald Trump selected Mick Mulvaney to be the acting White House chief of staff to succeed John Kelly, who resigned far ahead of his announced timetable. 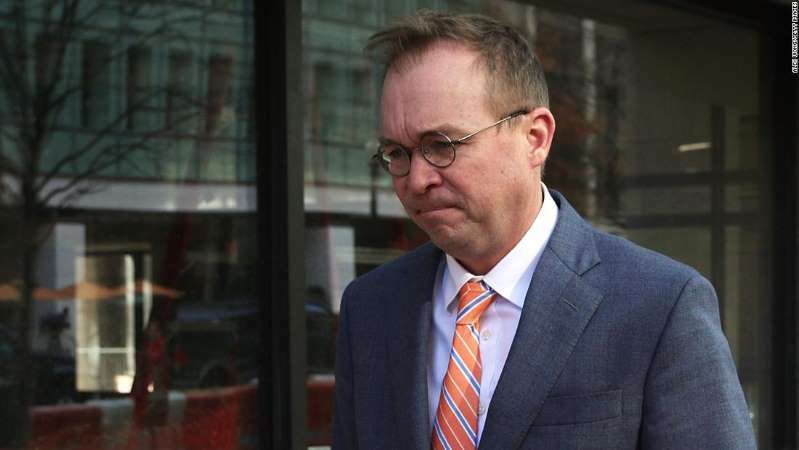 Mulvaney, who runs the Office of Management and Budget in his real day job, said upon his hiring that he planned to “let Trump be Trump.” He had no intention, or so he implied, of reeling in the president while trying to prevent him from some of his more impulsive behavior. 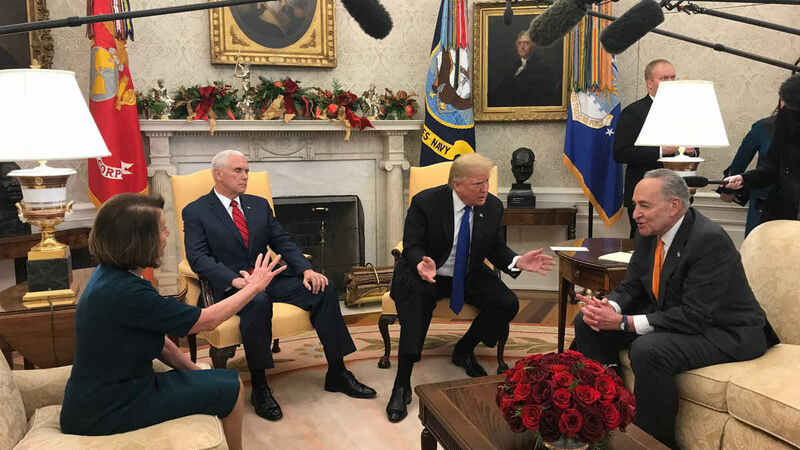 Well, it’s being reported that Mulvaney got a serious dose of the real Donald Trump during a White House meeting with Democratic congressional leaders. The group met ostensibly to find a way to reopen the government, which has been shut down partially for three weeks. There you go. That’s Trump being Trump, per the White House chief of staff’s stated desire. Is this what he really intended when he took the job on an “acting” basis? I think not. Don’t misconstrue me here. I don’t feel sorry for Mulvaney. He’s a grownup who likely knew about the loony bin into which he was entering when he agreed to run the White House staff. Still, what I find astounding is that the president of the United States would (allegedly) treat the chief of staff in that fashion in front of a roomful of politicians and other staffers. Then again, given the president’s lack of decorum or dignity at any level, perhaps I shouldn’t be surprised at all! The White House chief of staff once was considered the plum of plum jobs in D.C. No longer. Not for as long as Donald Trump is president of the United States. He’s already burned through two chiefs of staff, Kelly and before him Reince Priebus. 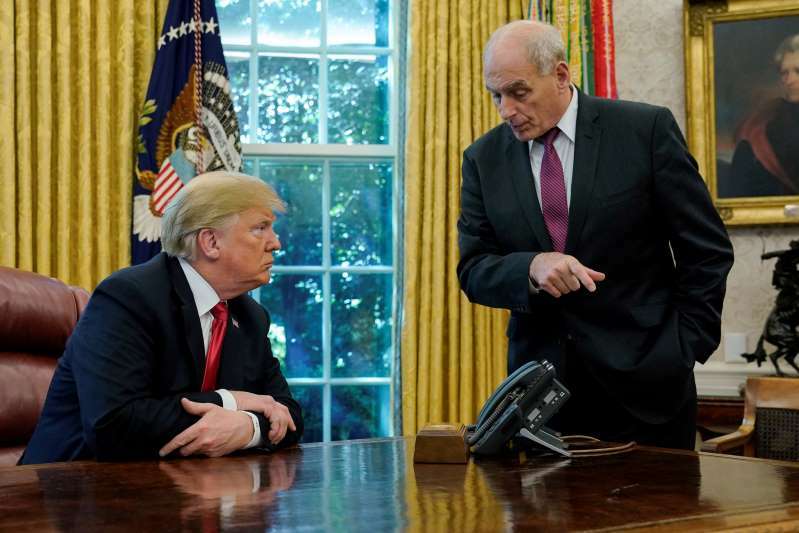 Kelly was brought in to bring a sense of order after Priebus was canned; indeed, Priebus couldn’t control the traffic in the Oval Office, just inflaming the chaos that dictates the flow within the White House. Now we have Mulvaney perched in the White House hot seat. I’ve thought all along that an “acting” chief of staff cannot sustain himself over any length of time. I mean, Mulvaney already has a full-time gig at OMB, which is a huge job all by itself. So now he gets pounded and pilloried by the president while the government remains shut down. Great work if you can get it, right, Mick? Happy new year, in all CAPS! That, right there, is Donald Trump’s new year’s message to the country he was elected to govern. A couple of things strike me about the tweet that came off the president’s cell phone. The other thing is the apparent attempt at sounding magnanimous. Whatever. Happy new year to the president. I am betting that 2019 is going to ruffle a few more feathers. As for “GREAT THINGS” happening, I must say that the greatest thing I can imagine for our great country will occur when Donald John Trump exits the Oval Office for the final time. Who in the world would want this job? John Kelly is out as White House chief of staff. He apparently has been forced out, making him the second individual to lose that post involuntarily during the Donald Trump administration. Reince Priebus was the first chief of staff to get the boot from Trump. This all begs the question: If you’re watching these developments up close and you are on some sort of presidential short list for chief of staff, would you want the job? If it were me, I would head for the hills, hide in the tall grass, plunge into a cave. I wouldn’t want the president to know where to find me. Office and Management Budget Director Mick Mulvaney is the current acting chief of staff, which in itself is a bizarre development. Trump is looking for a permanent chief. Where he’ll find it is a mystery to most, perhaps even to the president himself. I had high hopes for John Kelly. He’s a retired Marine Corps general, a Gold Star dad whose son died in action in Afghanistan. He was Homeland Security secretary when he got the call to run the White House staff after Trump fired Priebus. Kelly is a take-charge guy. I had hope he would calm the White House chaos. The president’s gut is betraying him — and the country — every single day. I have no clue how he’s going to find a chief of staff who is willing to tolerate the idiocy that flows out of the Oval Office. Reince Priebus couldn’t hit his rear end with both hands; Gen. Kelly brought a much greater level of competence to the job, but he couldn’t work with a president who is wired the way Donald Trump is wired. Vice President Mike Pence’s chief of staff, Nick Ayers, bailed on Trump. Former New Jersey Gov. Chris Christie did, too. It well might be that it won’t matter one damn bit who Trump selects as chief of staff. He tells us he is the smartest man on Earth. I am partly of a mind to let this bozo try to prove it. I am shaking my head. Hard. I cannot believe how this particular president has managed to do the seemingly impossible: retain the support of the nation’s Christian evangelical movement. I’ll start this rant, though, with a word of praise for Donald Trump. I am thrilled that he and his administration were able to obtain the release of an American pastor held captive in Turkey for the past two years. 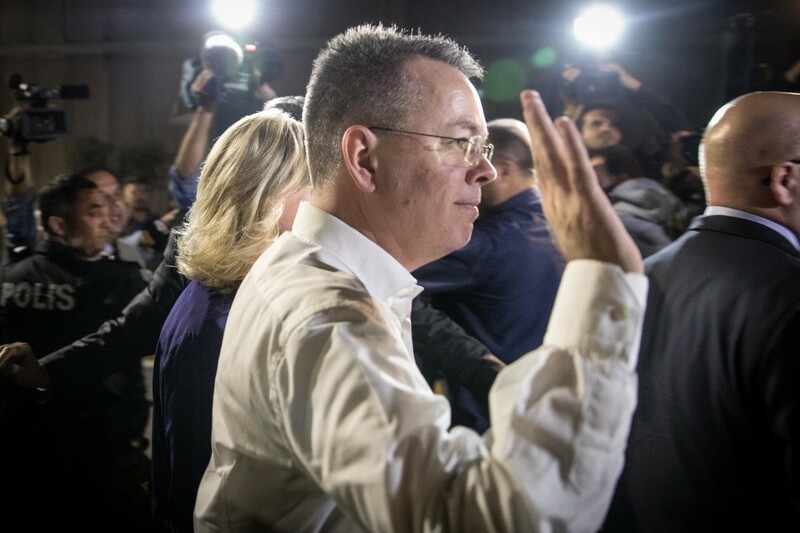 Andrew Brunson is a free man and the president insists the United States gave away nothing — not a thing — to secure his release from the Turks. Brunson went to the White House to thank the president. The men prayed in the Oval Office. I am delighted he is home, a free man once again. Congratulations belong to the president and his team. But then comes the strange endorsement of Trump from religious leaders who continue to sing the man’s praises, even though they know of his myriad indiscretions, his serial philandering, his abuse of women, his hideous public rhetoric about how he has never sought forgiveness for his sins. Necessarily, Rev. Robison? Do ya think? How in the name of all that is holy did this president pull this off? Sure, he has made some policy pronouncements that have stoked joy in the hearts of evangelicals. He recognized Jerusalem as the capital of Israel; he sought to ban transgender Americans from serving in the military; Trump has been able to seat two conservative justices on the U.S. Supreme Court. I just cannot get past the man’s lengthy history of decadence and behavior that used to send chills up the spines of the most faithful among us. No longer, or so it seems. Evangelicals are willing to give him a pass because he is so effective at pandering to their wishes.